Easy strawberry mousse recipe made with fresh whipped cream, sweetener, and sugar-free strawberry puree. Top this light and airy dessert with fresh fruit and Voortman Bakery Wafers! This post is sponsored by Voortman Bakery. The content and opinions expressed below are that of The Foodie Affair. Remember that homemade strawberry puree I shared last week? Well, between a tablespoon of that sugar-free sauce and my lemon curd, breakfast never tasted so delicious when I add a little to my Greek yogurt! Seriously, just thinking about it makes my mouth water. It’s THAT good! I highly recommend you put that on your “must make” list, because now I have another recipe you can use that strawberry sauce in. 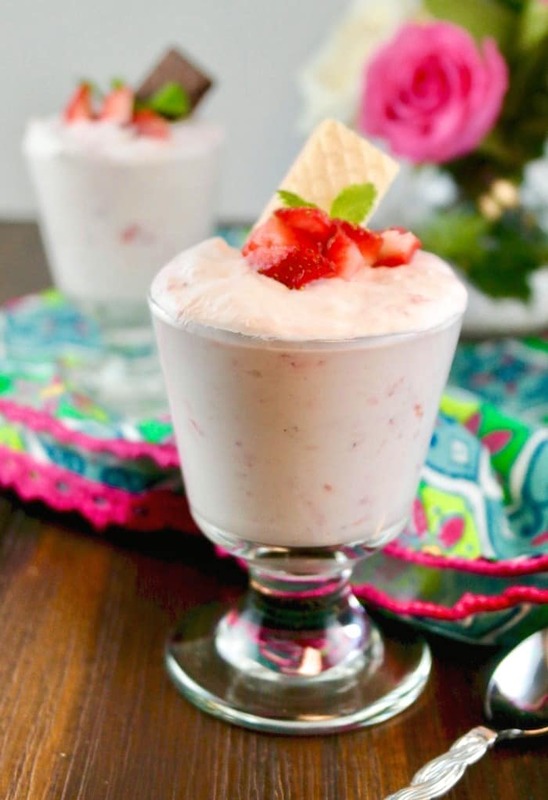 Have you ever made strawberry mousse? It’s probably one of the most decadent treats ever created, and I made it a lot healthier by keeping the ingredients simple and granulated sugar-free! This recipe is simple to make once you have the strawberry puree already made. If you would like, you can also purchase a jar of jam, but I highly recommend making it yourself. I was super curious to see how this dessert would hold up without gelatin, and I have to say, beautifully! 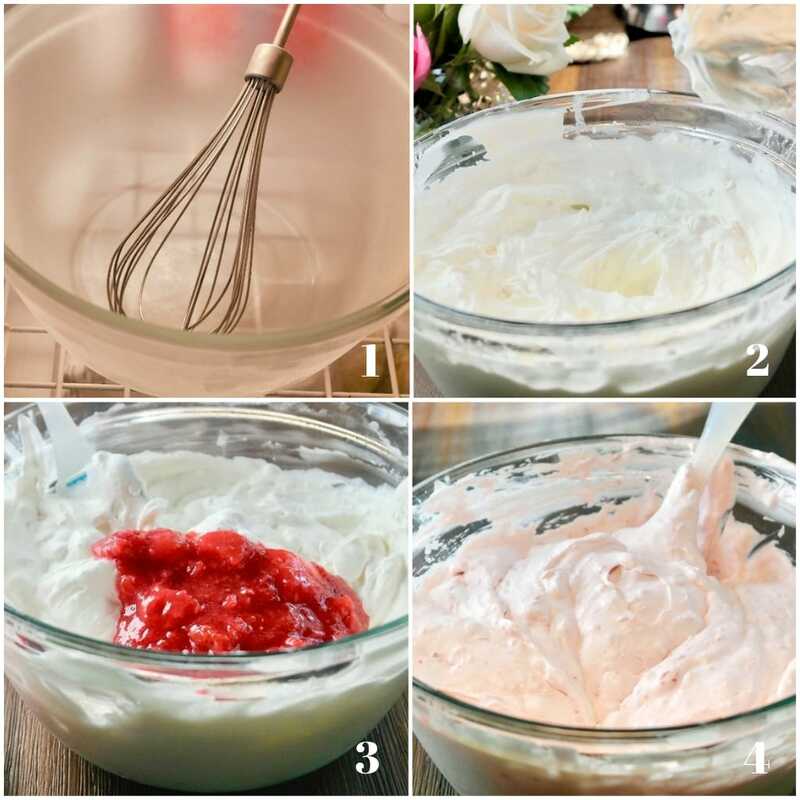 When using gelatin, you need to bloom it in water, then fold it in the base ingredients, which in this case is the strawberry sauce before folding it into the whipped cream. I skipped that part entirely and went straight to folding in the puree into the whipped cream to keep this dessert easy. I’m very pleased with the results. Now, if I was serving this for guests and I wanted to make this 3-4 days in advance, then I would use gelatin to give it an extra boost of thickener. So the option is yours! What Goes Well With Strawberry Mousse? 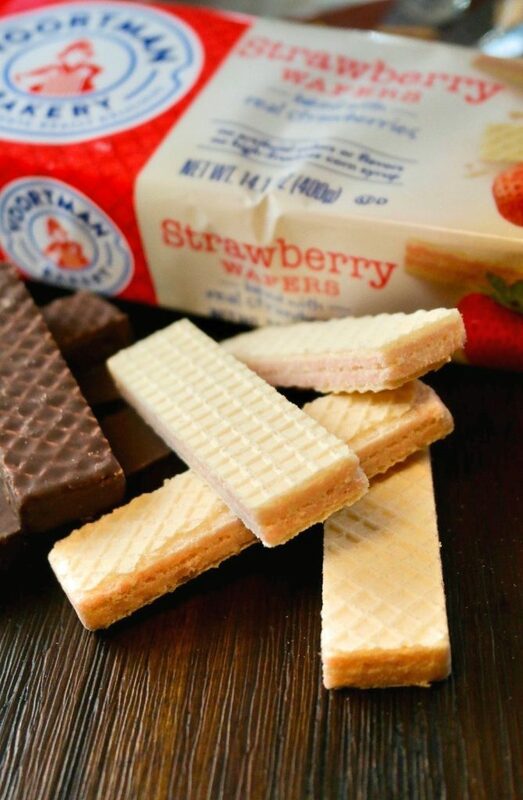 Voortman Bakery Wafers made with REAL ingredients! No artificial colors, flavors, high-fructose corn syrup, or trans-fat are in these cookies. Strawberry and fudge coated wafers are perfect with this mousse! This mousse lasted in the refrigerator for several days, and the leftovers I scooped in heaping tablespoons and froze it for an anytime treat! By the way, it is quite tasty in a warm cup of coffee! Some other ways you can use the leftovers is to bake wonton wrappers like I did with these pecan wonton bites and scoop a tablespoon of mousse in the middle. You can also buy pre-made mini fillo shells or pie crust if you prefer to go that route. 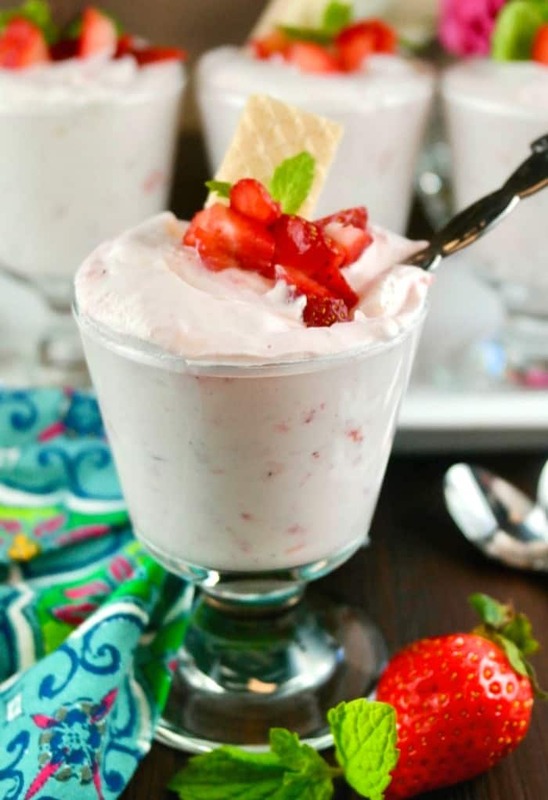 So many delicious options to serve this strawberry mousse! Give this easy recipe a try today! This delicious strawberry mousse is a two part recipe. First, make the sugar-free strawberry puree and use it as the base to this mousse. Delicious light and luscious treat for anytime, but especially nice to share with guests. Ensure strawberry puree is cooled and set aside. Place large bowl and whipping whisks in the freezer to get cold (about 30 minutes is all you need). Remove bowl and whisk from freezer and add whipping cream. Whip until soft peaks are just beginning to form. Add the sweetner and continue whipping until soft peaks form. Fold the berries into the whipped cream using a rubber scraper (under over motion) until fully incorporated. Scoop into individual serving dishes and chill for about 2 hours. Garnish with additional fruit or half or a Vortman Bakery wafer. 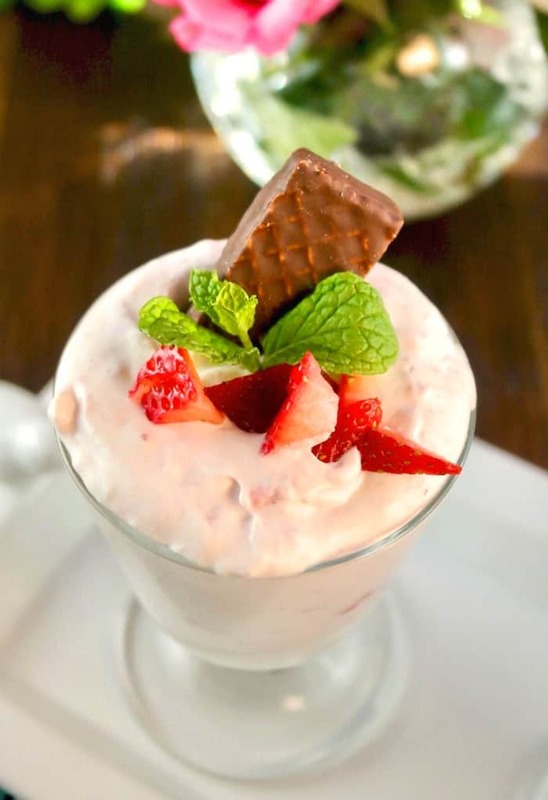 Garnish with fresh fruit or Voortman Bakery wafers - Strawberry and fudge coated wafers go especially well with this strawberry mousse recipe. For Keto/Low Carb followers, each serving is 6 carbs. 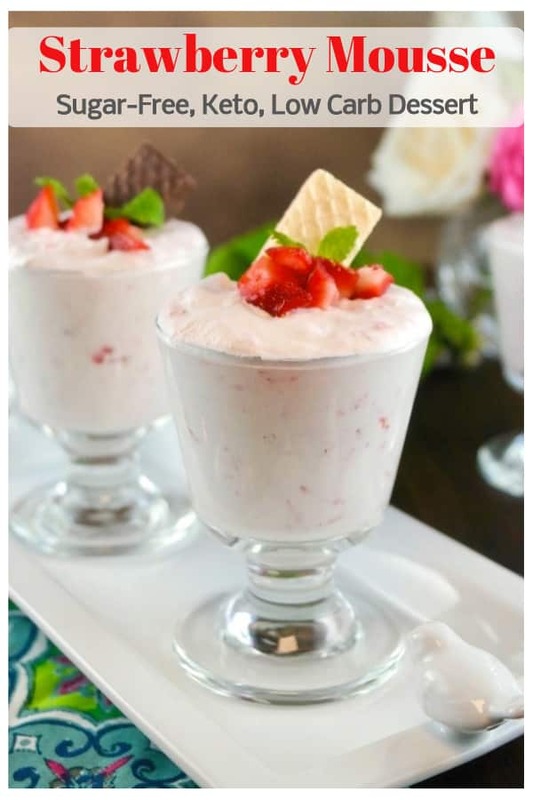 I love strawberries, they are my favorite food and this mousse is so yummy! This looks so light and airy! This would be a perfect Valentine’s dessert! This looks like a perfect sugar free dessert! Great for Valentines day! What a beautiful recipe! I can’t wait to try it. I’m dreaming of spring and can get strawberries now in our stores. This fresh goodness is just what we need! What a refreshing dessert! Adding this to my must-make list! Light and delicious with all the flavor for fresh ripe strawberries – this is the perfect spring dessert! Strawberries are my all-time favorite food. 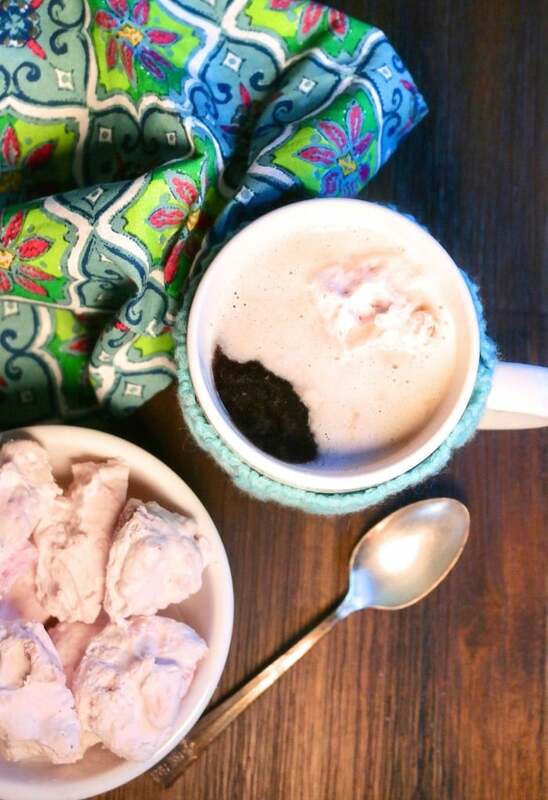 I love that you made this such a quick and easy dessert. Five stars from me!!! Thank you! Simple and delicious is the way to go when it comes to tasty desserts! Low carb and just a few simple ingredients! This is great! I was a little skeptical of the sweetener because every one that I try leaves a weird aftertaste but this was amazing! Like using regular sugar but without all the calories! Nope, no aftertaste! The fake sugar in the blue or pink packets are no good. I wouldn’t use those for a sugar replacement. 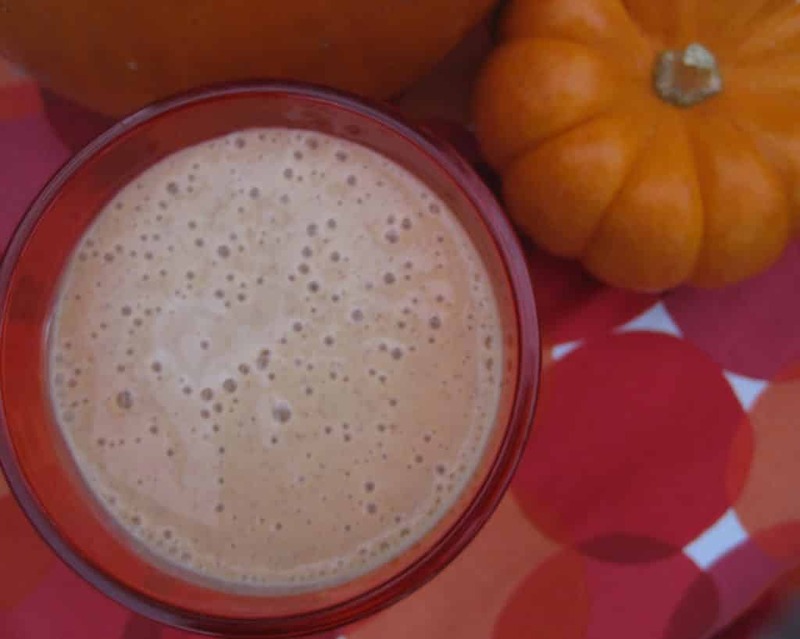 Pumpkin Pie Spice Smoothie – Three Variations!